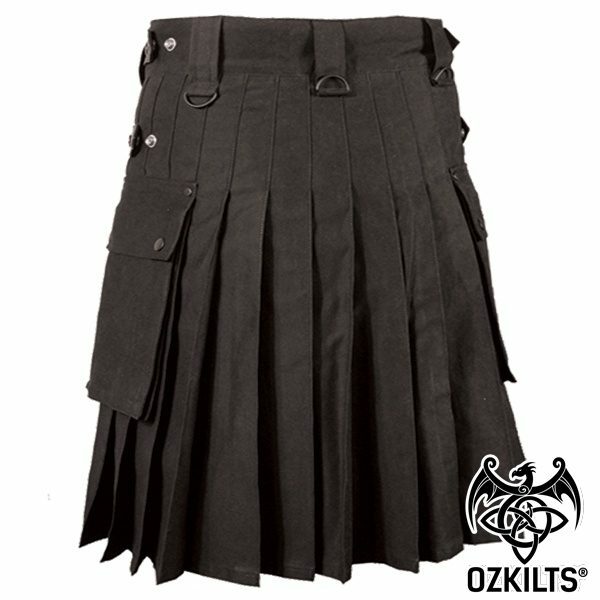 DO NOT USE YOUR PANTS SIZE WHEN ORDERING YOUR KILT! 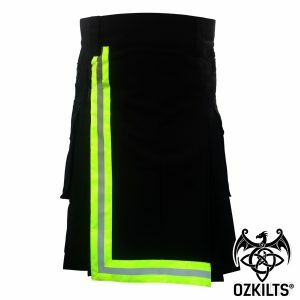 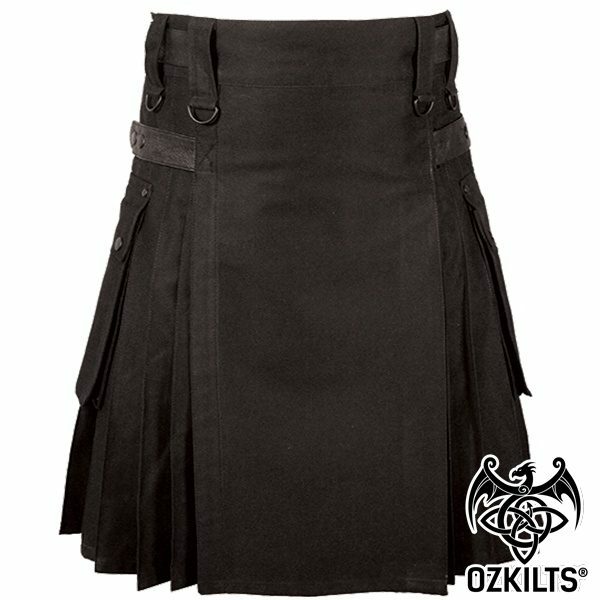 Our Deluxe Utility Kilt comes with standard ‘knife’ pleats and is available in different colours. 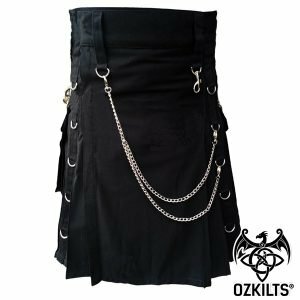 Our deluxe kilts are heavy duty 100% Cotton, and come fitted with our Deluxe Kilt Leather Strap System. 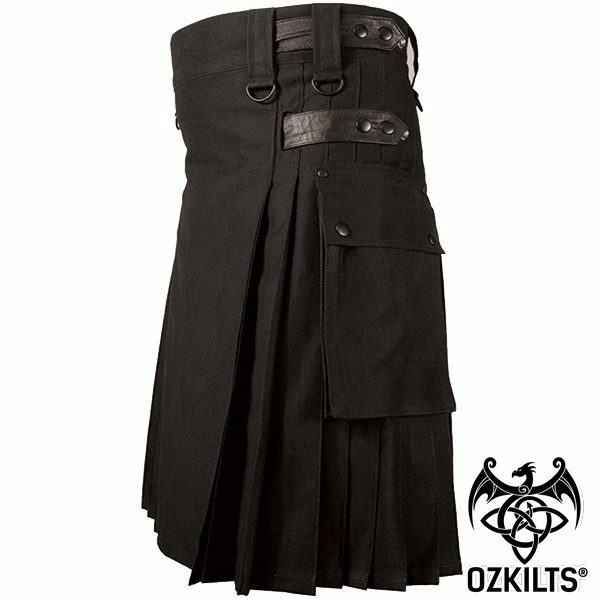 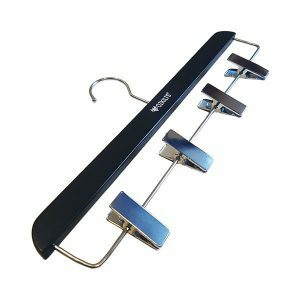 The leather strap system allows for adjustment of the kilt size for a perfect fit at all times, and is a modern design offering superior comfort compared to traditional kilts which usually use a buckle hip fastening system. 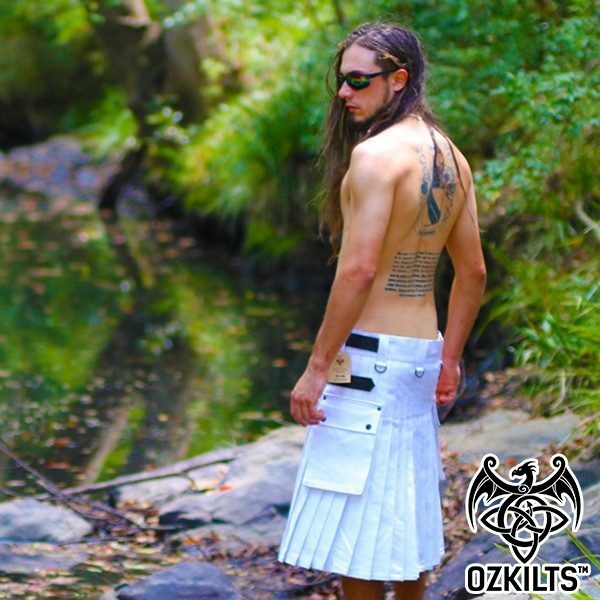 We recommend our Deluxe Utility Kilts as the premium comfort and fit option for all modern Utility Kilt wearers, both new and exsiting. 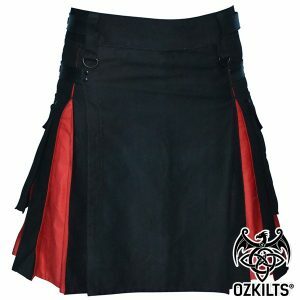 See our sizing guide for more information on selecting your correct size for a perfect fit.